These past few weeks have been very, very confusing. Considering that I have had a relapse of sorts with food and my poor eating habits I’ve found it difficult to focus on pretty much everything. I never thought it was going to be easy, but I didn’t think that I was going to have such a setback so early on in my recovery. I am happy that I haven’t had a drink, and in all honesty I haven’t really had the desire to do so. Meetings haven’t been as helpful as they’ve been in the past and I haven’t been as invested in going to them, which is all the more reason why I should be going more often. I fully intend to attend my meeting tonight. I’m going to start to find some activities which involve meditation. I may start a weekly yoga class. I had a guided meditation session yesterday in my appointment with my addiction therapist and it worked really well for me. My sponsor has been recommending it to me anyway so I definitely think its a good idea. I also going to take a dance class again. Besides being fun, it was good exercise and good for my soul. My only “New Years Resolution” is to really take sometime engaging in fun activities that are active and uplifting and to become a better “planner”. That starts today though not in 2017. Wish me luck! I owe you an apology. I haven’t been treating you very well these past few weeks. I’ve been feeding you food that makes you sick. I’ve allowed you to wallow in self-pity. I’ve allowed you to have resentful thoughts that have made you sad. I’ve allowed you to make impulsive and reckless choices that have put you at risk of harm. I’ve put you in situations that make you uncomfortable and are detrimental to your recovery. This was irresponsible and I’m very sorry. Please be assured that I recognize these behaviors and will try to avoid them in the future. You deserve more than this and I will provide and environment that is positive and uplifting going forward. You’ve come so far and nothing that has happened can erase all of that. We can do this together. We’ve got this. I’m stuck. There. I said it. Everything is stale and boring and non-productive. My mornings changed from insightful, thought provoking inspiration to Netflix and Cold Brew. I can not convince myself to go to the gym. I’m actually gaining weight. My impulsivity is not as manageable as it has been in the past few months. I feel like I am slipping back. Not using alcohol, but relapsing to my old eating habits. I ate an entire box of graham crackers friday night which made me so sick that I threw up for nearly an hour. I’m gaining weight and my self-esteem is starting to revert to its natural despressive state. Brenda is a clever, clever girl. Brenda is putting up a big fight. She won’t go down without a fight. I’m not missing my meeting tonight…it’s definitely going to be my priority.
. About a month ago I came across this video on my phone. It disturbed me on all levels. I almost deleted it and then I thought maybe I should keep it as a reminder. I had never intended to show anyone, much less make it public, but it seems right to me today. So for the second night in a row I’ve stayed after work, on my own time, working on some new enhancements to a Job Aide(aptly named Job Buddy) I’ve created for myself and is used widely in my department. I wasn’t asked to do it. I’m not paid to do it. No one is required to use it. Basically I just decided to take it upon myself to attempt to increase my job productivity by creating a reference tool to connect me quickly to the different resources so that I can provide a complete and accurate experience for the customers I help. It also serves to help me monitor the metrics which measure my success in my position. I find myself getting frustrated because I believe that this tool has increased the productivity in my department but I’m not getting recognition for it. I’m upset because I’m not getting praise for creating a job tool that no one asked me to create. This is insane. This is a character defect. As I process this I am realizing that this is connected to my self-esteem. I need to feel needed and that I am contributing. I want to be noticed. I’m glad that I realized this last night, because it was bringing me to a bad place. I am so grateful that my head is clear. This is the kind of thing that contributed to me making poor decisions such as getting drunk alone in my car and then driving. So today when I go into work I will continue to work on my project for myself. It’s there to fulfill me and not others. If others see the benefit and I receive praise for my efforts that will be a bonus, but the real award will be the pride that I have in creating something that is helpful. I’m having a difficult time getting back on track with my weight loss. Focusing on recovery has allowed me to slip back into some old habits. I’m trying not to be too hard on myself, but I definitely need to start to be a little more focused so today’s blog will be a list of objectives and due dates. All are welcome to help hold me accountable! Seems like a good list to start working on. Wish me luck! I had a conversation with a friend yesterday that gave me some things to think about. It’s about letting go. Letting go of the past and mistakes made. Letting go of people from my past who have no place in my present and future. I struggle with this big time. The worst part of this is I know exactly why I do this and it is one of the most problematic personality flaws I have. I have written before about how I tend to blame myself for the actions and feelings of others. This is yet another coping mechanism I established years ago to battle lonliness. When I create an emotional bond with someone it is difficult for me to dissolve it. The deeper the bond the more difficult it is to break. The problem with this is sometimes these emotional bonds are very one sided. I have given my heart and trust to people who either didn’t feel the same way or themselves didn’t have the emotional fortitude to reciprocate. I am not saying that I shouldn’t have deep emotional bonds with friends and family, but I have to learn that every relationship needs to be reciprocal in all aspects. That can be a difficult task if the other party isn’t emotionally honest enough to also realize that about themselves. In recovery I am learning about boundaries and specifically how important they are in every relationship. I am learning that I need to recognize them and also have them. I have to respect the ones people require and demand respect for the ones I require. My newfound quest for honesty is a key component in this endeavor. Having an authentic relationship with myself is a good place to begin. Breaking down delusion and self-deprecation have been so difficult after years and years of using this to cope with nearly every physical and emotional challenge i’ve encountered. I’m encouraged by the fact that I am at least now cognizant of these character defects and am working towards finding healthy alternatives to cope with the difficulties of life. Although I do not fully agree with all of the points my friend made yesterday with regards to completely cutting people out from your past who’ve hurt you, I agree that there is some work that I need to do on myself before deciding whether or not to let someone back in going forward. I feel so strange about this. I think about where I was two months ago as opposed to where I am today and it feels like I crossed over into another reality. Most of my fears and anxiety, especially now that my DUI case is resolved have subsided, but I am still working very hard on at least one of my old fears. Delusion. Delusion is a very common coping mechanism for an addict. Reading my old journals have provided me with an interesting insight into my history with it. I couldn’t quite articulate it when I was a teenager but I was constantly aware of my ability to do it. Some might say that it is a healthy fear to have and that checking yourself is an important part of recovery, but my fear lies in the fact that I worry that I am actually not doing as well as I think I am. I am constantly waiting for “the other shoe” to drop.I guess this is normal. I hope it is anyway. I am looking into the future and wondering what that will hold for me. There are things I want to do and places I want to visit. The want is there, but the how is not. I am becoming a more organized person but there is still much work to be done there. I want to go back to school. I want to become a nurse, but the how is not so clear. Will I be able to handle the stress of school and work? Will I handle it if I am not smart enough to pass? Will I deal with it if I find it is not what I want to do? I don’t know the answers to any of these questions, but I am not afraid to try to find out. I know that I have the support of my friends and family and that certainly makes it easier. I just need to find the motivation to see it through. A story was related to me earlier this week that someone was gossiping and mischaracterized a blog post I wrote and implied that I had broken someone’s anonymity by writing about my experience. It made me very upset. My guilt set in almost immediately. I went back to the post and read and re-read it and it became clear to me that I, in fact, had not done so. The person who was allegedly affected agreed with me that their anonymity had not been revealed and we both moved on from it. In truth, I haven’t really thought about it at all which is huge for me because this is the type of thing that Brenda has, in the past, made me react in a destructive way. 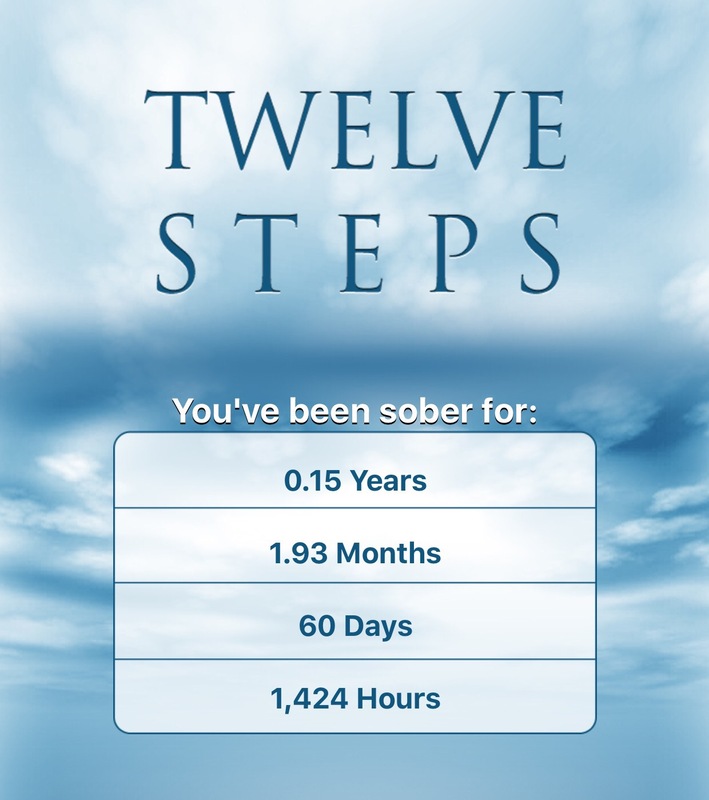 Today for some reason I am compelled to write about this experience and how it relates to my sobriety. There is so much truth to this. So this scenario is no longer renting space in my already cluttered brain.